Outdoor play in the winter months can be very straining on the body. It can hinder proper warm-up, increase the risk of hypothermia, dehydration and ultimately predispose the athlete to injury. I will give you a few tips to stay warm and safe during your winter sport or training in the cold. One of the best tips is to wear multiple layers. The first layer should be synthetic material to draw sweat from the skin to offset the risk of hypothermia and allows heat to escape from the body. Avoid cotton shirts due to they tend to keep moisture on the skin. The last layer should be a fleece pull-over or jacket. As the body increases in temperature, it’s important to remove layers to avoid the body from overheating due to the inability to release heat. Most commonly, water intake is decrease in cold weather due to the athlete not feeling hot or thirsty. However, it is important to drink water even if you are not thirsty. It only takes 1-2% of water lost to predispose the body to dehydration. Not enough water hinders the kidneys’ function and promotes an accumulation of waste products, which will decrease athletic performance. Most importantly, water promotes proper brain function for concentration during sport play. Due to the body’s survival internal program, blood will be pull from the hands, feet and ear area to keep the trunk and brain warm and functional. It’s important to cover hands, ears and feet when playing in the cold. These areas are more susceptible to frostbite. Training in the cold can be good, especially if you play in cold weather. First, the body has to adapt to the stress apply during a sport. We call this a “training effect.” In other words, if you play in cold weather, you have to train in cold weather. Also, warm-up in a chill environment causes the body to increase internal body temperature faster to release heat. 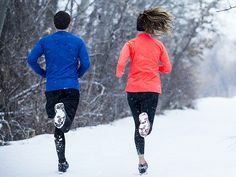 It has been reported that cold weather training can increase oxygen capacity performance, which will allow the athlete to obtain more oxygen during sport performance1. Apply these tips and say safe while playing outdoors. Have a Great Winter Season from your Forest Hill Physical Therapy Team.